How strong is the Chinese economy? What could be the world's largest-ever initial public offering might shine some light on that question. The Agricultural Bank of China could be priced as early as Tuesday (Wednesday in China). If it hits the high end of its price range, the IPO could gobble up $23 billion, according to the Wall Street Journal ($), topping the Industrial and Commercial Bank of China's 2006 record of $21.6 billion. 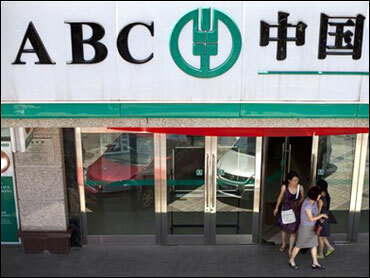 If the ABC prices its offering at the mid-point, it could still sell $8.8 billion in its Shanghai offering and $11.3 billion in its Hong Kong offering (it's going public in two places). The Chinese government, which still wholly owns the ABC as of today, might not want to price shares too high, since there have been a few IPOs that have fallen below their issue prices after its first day of trading. That's one concern. Another is that heavyweight IPOs this year have been disappointing. In February, China First Heavy Industries became the first mainland company in some time to fail to price a Shanghai IPO at the top of its proposed range. Also, economic news out of China have not been entirely sanguine. Its consumer price index is rising; its GDP growth this year may be slower than analysts expected. There have been fears of property and credit bubbles for a year, prompting regulators to launch a series of clampdowns on mortgage lending that democratic governments could only gawk at. Incidentally, the primary concern with the ABC is its over-lending and non-performing loans. The ABC's price will be a test on confidence in China's economy - but more a sign of the Chinese government's own honest analysis that it can't color with statements and speeches. How high will it dare to go?